Business must make a bigger difference to global challenges by leveraging its scale, influence and resources to drive transformational change at a systemic level. May 18, 2015 — Editor’s note: Greenleaf Publishing’s Reframing the Game: The Transition to a New Sustainable Economy will be available at the end of the month. North American purchasers can buy copies here. This excerpt is published with permission from Greenleaf Publishing. The world has always faced challenges, but never so many at once: rising unemployment, poverty, food security, climate change, geopolitical instability. Our economic system is not working for everyone. Inequality is rising. Note the recent report from Oxfam, which suggested that by 2016 the wealthiest 1 percent would own 50 percent of the world’s wealth. On top of that, the population is expected to grow by another 30 percent by 2050, putting even more strain on our planet and its finite resources. 2015 can be the year when the world fights back. We have the unique opportunity to be the first generation to bring an end to poverty and the last to prevent the worst impacts of climate change. For me, it is a business as well as a moral issue. You can’t have a healthy business in a broken world. Business can — and must — be part of the solution to these challenges. 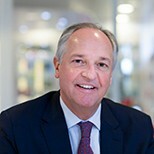 At Unilever, we are pioneering a model that puts addressing the world’s challenges at the heart of our business operations and corporate strategy. But we need to work with others to achieve the scale that’s needed to help solve such big and pressing issues. We do that on behalf of the people who live in poverty, or are too hungry to go to school, those who may not even have made it beyond the age of five due to malnutrition, natural disasters, or simply poor sanitation. Later this year, world leaders will meet to agree on a new development agenda and a binding climate deal. The outcomes will decide the lives of many. I urge people not to stand at the sidelines — but to get involved and work together. The stakes could hardly be higher. This is a once-in-a-lifetime opportunity. We have to grasp it, and business must be at the center of the debate. For too long business has sat on the sidelines, either unable or unwilling to be part of the solution to these systemic challenges. The world faces enormous human development and environmental challenges, from poverty and disease to food security and climate change. Significant progress has been made in the last two decades — extreme poverty has halved, hunger has reduced and over 2 billion people have improved access to drinking water. But huge problems remain. Inequality has widened, at least one in eight people still go to bed hungry and climate change threatens everything we have achieved since the 1960s. Half a century of progress stands to be wiped out within a generation. For too long business has sat on the sidelines, either unable or unwilling to be part of the solution to these systemic challenges. But this is now rapidly changing as the limitations of governments and international bodies to resolve them become ever more apparent, as consumers increasingly are demanding change, and as the cost of inaction starts to exceed the cost of action. The cost of climate change is already high and increasing. The U.N. secretary-general has calculated that, since 2000, economic losses from natural disasters total around US$2.5 trillion. The Organization for Economic Co-operation and Development predicts that by 2050 over US$45 trillion of assets could be at risk from flooding. Accenture has found that significant supply chain disruptions can cut the share price of companies by 7 percent, while KPMG estimates that the total profit of the food industry is at risk by 2030. As tackling these issues becomes not just a moral but a commercial imperative, a growing number of businesses are stepping up to the plate. We are seeing the effect of climate change in our own business. Shipping routes cancelled because of hurricanes in the Philippines. Factories closing because of extreme cold weather in the United States. Distribution networks in disarray because of floods in the U.K. Reduced productivity on our tea plantations in Kenya because of weather changes linked to deforestation of the Mau forest. We estimate that geopolitical and climate-related factors cost Unilever currently up to US$300 million a year. This not only impacts our shareholders but with over 5 million in our supply chain and more than 2 billion consumers around the world, the repercussions ripple much wider. As tackling these issues becomes not just a moral but a commercial imperative, a growing number of businesses are stepping up to the plate. Today, three-quarters of the largest companies have set themselves clear social and environmental goals, 4,000 now report on CO2 emissions, and 50 of the top 200 have set an internal price for carbon. However, as combating climate change becomes more urgent, the time has come to look beyond incremental reductions in environmental impacts and increases in social impacts, important though these are. Business can and must make a bigger difference to global challenges by leveraging its scale, influence, expertise and resources to drive transformational change at a systemic level. This is crucial because the economic system we all live and work in drives our behaviors and choices, and without changing them we cannot hope to achieve the structural shifts that have to be made. Business is responsible for more than half the world’s GDP, so unless we make change happen, we will not see the reduction in greenhouse gas emissions the world needs. The Better Growth, Better Climate report, published in 2014 by The Global Commission on the Economy and Climate, of which I was a member, identified three key systems of the economy where there is huge potential to invest in structural and technological change: cities, which generate around 80 percent of global economic output and 70 percent of global energy use and related GHG emissions; energy systems, where renewables and energy efficiency offer significant investment opportunities; and land use. Food production can be increased and land use emissions cut through more sustainable agricultural practices and by protecting forests from further destruction. This is not about mitigation. It is about opportunity and aligning our purpose in business with this opportunity. This is the message the World Business Council for Sustainable Development is championing with its Action2020 roadmap, which sets out the business agenda for action. It is also one of the key findings of the Better Growth, Better Climate report, which argues that traditional macroeconomic objectives are now best achieved through a decisive shift to a new climate economy, with inclusive, high-quality, climate-resilient growth. Although the shift will not be easy, it provides all business sectors with new opportunities to grow.